Forget eggs (although they have those, too). Here, youll find flaky, buttery and crisp croissants, pain du chocolat, sticky buns, luscious almond tea cakes and apple tarts. On the savory side are tartines, including an impressive ham and gruyere. 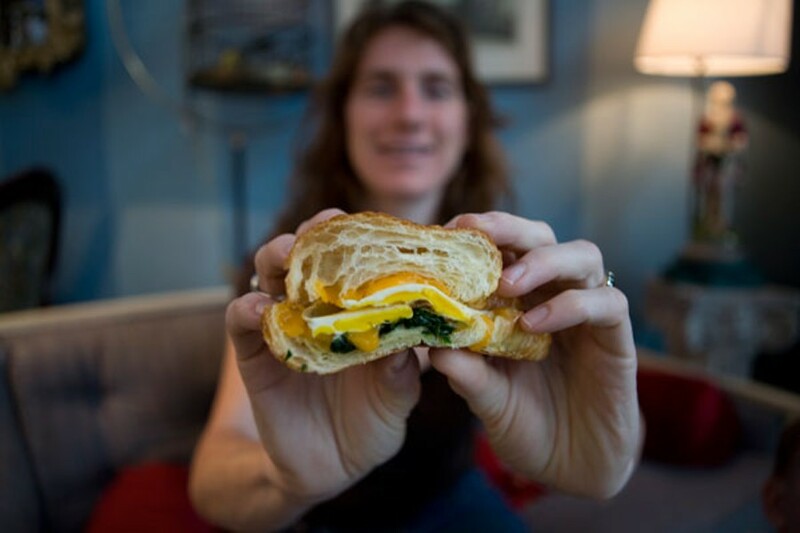 Thankfully, Amélies is open 24/7 for breakfast anytime  no matter what your work schedule.